Our Sunday church services are held at 10:00 am until 11:00 am, and include a lesson sermon from the Bible and Science and Health with Key to the Scriptures by Mary Baker Eddy. Our service also includes time to join with the congregation in silent prayer and sing hymns filled with inspiration and comfort. You and your family are welcome to join us! Our church services are available by conference call. If you are interested in listening, please send an email to readingroomwv@gmail.com and leave a voice message. Our Sunday School is held at the same hour as our church service, from 10:00 until 11:00, where we welcome children and young adults up to the age of 20. Students are taught basic lessons from the Bible, as well as how they can turn to a loving God for help and comfort. 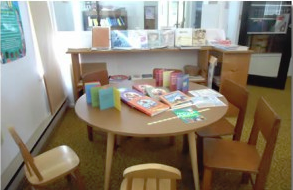 Children too young for Sunday School are lovingly cared for in our children’s room. We’d love to have your family join us next Sunday! Every Wednesday from 7:30 pm to 8:30 pm, we hold an informal testimony meeting. It’s an inspiring and uplifting mid-week opportunity to draw closer to God and hear how others are using the lessons learned in Christian Science to help them solve life’s challenges. Everyone is welcome to join us! These meetings are also available via conference call. Our Reading Room is a quiet place for study and prayer, as well as a resource centre for publications available to borrow or purchase. 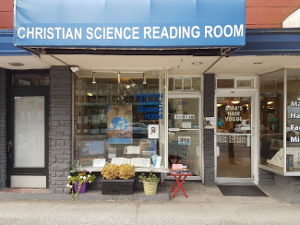 Our Reading Room is located at 1353 Marine Drive, West Vancouver, and is open Monday through Saturday from 11:00 am to 3:00 pm. Our phone number is (604) 922-2646. 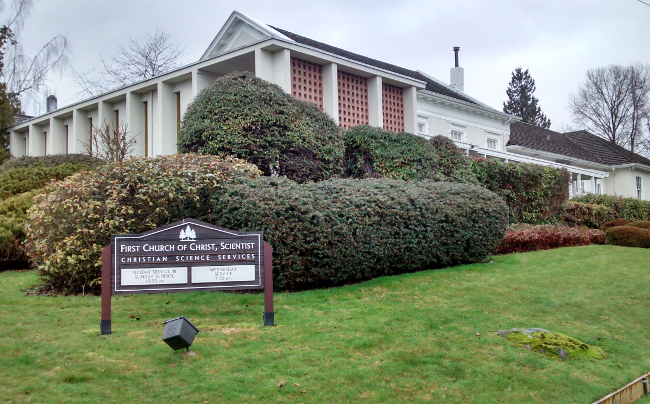 You’re welcome to stop by and explore this wonderful resource in our community!